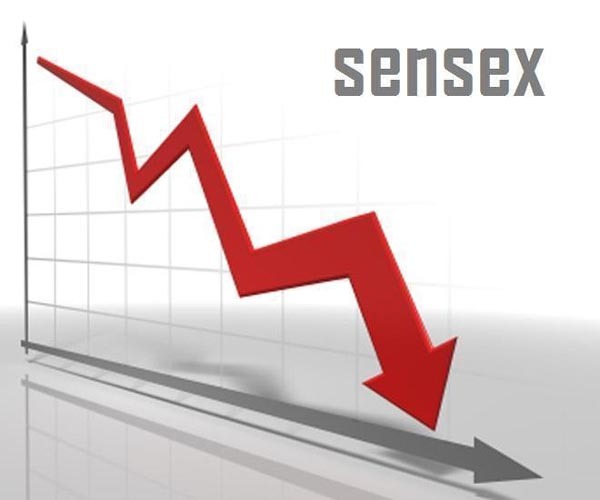 Mumbai - Extending their fall, the benchmark BSE Sensex slipped below the 28,000 level and the NSE Nifty dropped below the 8,400 mark at midsession as funds and retail investors indulged in selling activity amid weak global cues after crude oil dipped to fresh five-year lows. After opening in negative terrain on continued selling activity by participants, the Sensex dipped below the psychological 28,000-mark to touch a low of 27,869.92. It, however, recovered marginally to 27,911.35, down by 208.05 points, or 0.74 percent at 1330 hours. Mumbai - The benchmark Sensex on Friday ended 105 points lower at 28,458.10 and logged its first weekly drop in seven weeks on late profit-booking in IT and pharma shares. The BSE Sensex appears to be consolidating between 28,000 and 29,000 levels before making any fresh move, brokers said. ITC, M&M and Sesa Sterlite were among the few gainers in 30-share Sensex. The barometer fell on losses led by TCS, Infosys, Wipro, Sun Pharma, Dr Reddy's and Cipla shares. Second-line stocks, which have been in the limelight recently, also were hit by profit-booking by retail investors, brokers added. 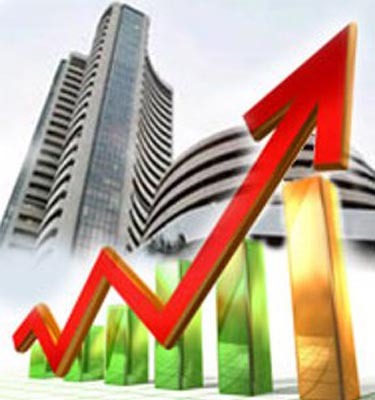 Mumbai - Rising for the second consecutive session, the benchmark BSE Sensex gained over 88 points in early trade on Friday on sustained foreign capital inflows coupled with a mixed trend on other Asian bourses. The 30-share index, which had gained 120.11 points in the previous session, gathered another 88.93 points, or 0.31 percent, to 28,651.75 with oil & gas, metals and capital goods sectors leading the rise. The NSE Nifty also shot up by 15.15 points, or 0.18 percent, to 8,579.55. Mumbai - The benchmark BSE Sensex staged a strong comeback by surging over 278 points and the NSE Nifty hit a new high of 8,626.95 in early trade Thursday as shares of ITC led the rally on expectations that the proposal to ban sale of loose cigarettes is likely to be put on hold. Besides, a firming trend in other Asian markets buoyed the trading sentiments here. The 30-share index, which had retreated from record-high by falling 251.28 points in the past three sessions, recovered by 278.41 points, or 0.98 percent, to 28,721.12 with all the sectoral indices, led by FMCG, realty, oil & gas and banking, trading in positive zone with gains up to 2.26 percent. Mumbai - The benchmark BSE Sensex slipped by 46.58 points in morning trade on Wednesday as bourses turned wavery on bouts of selling in key bluechips from IT, tech, healthcare and FMCG sectors. Earlier, the market recovered from its overnight losses amid firm buying in realty, capital goods, banking, consumer durables, metal and oil & gas sector stocks coupled with shares of mid-cap and small-cap companies. Higher Asian cues amid overnight gains in US stocks along with FII inflows overlapped the market sentiment. The 30-share index opened higher at 28,472.32 and fluctuated between 28,504.65 and 28,370.73 before quoting 28,397.43 points at 1100 hours. Mumbai - Extending Wednesday's gain, the benchmark BSE Sensex rose over 37 points in early trade on Thursday on sustained buying in blue-chip stocks amid a mixed trend in Asian markets. Besides, covering-up of pending short positions by speculators on the last day of November series expiry in the derivatives segment also influenced sentiment. The BSE 30-share barometer, which had gained 48.14 points in yesterday's volatile trade, rose 37.75 points, or 0.13 per cent, to 28,423.94. Similarly, the NSE Nifty also advanced by 12.80 points, or 0.15 per cent, to trade at 8,488.55. Mumbai - The NSE Nifty continued its record-setting spree by rising 5.20 points to 8,535.35 and the BSE Sensex gained nearly 42 points to 28,541.22 in early trade today on sustained foreign fund inflows amid a mixed trend at other Asian bourses. The Nifty moved up by 5.20 points, or 0.06 percent, to trade at a new life-time high of 8,535.35, breaching its previous record of 8,534.65 touched yesterday. The 30-share index, which had gained 466.69 points in the previous three sessions, flared up by 41.68 points, or 0.14 percent, to quote at 28,541.22, shying away from its record high of 28,541.96 reached yesterday. Mumbai - Continuing their record-breaking spree, markets on Monday hit new highs with the BSE Sensex scaling another peak of 28,514.98 and the NSE Nifty breaching the 8,500-mark for the first time in opening trade on sustained capital inflows buoyed by positive domestic and global cues. The benchmark BSE Sensex climbed 180.35 points, or 0.63 per cent, to trade at a new high of 28,514.98, breaking its previous record of 28,360.66 reached on November 21. The benchmark index had gained 301.78 points in the previous two sessions. Mumbai - The benchmark NSE Nifty rose nearly 71.60 points to hit new record of 8,473.50 and the BSE Sensex climbed over 230.97 points to trade at 28,298.53; in early trade on Friday on increased buying by foreign funds and retail investors amid a mixed trend at other Asian bourses. The Nifty was quoted higher by 59.75 points, or 0.71 per cent, to new life-time high of 8,461.65, surpassing previous high of 8,455.65 touched on November 19. The 30-share index, which had gained 34.71 points in the previous session, rose by 187.29 points, or 0.66 per cent, to 28,254.85 with banking, consumer durables, healthcare, metal, auto and oil & gas stocks leading the gains. Mumbai - Extending their record-breaking run, the BSE benchmark Sensex climbed 82.78 points to hit yet another record of 28,260.66 while Nifty scaled new peak of 8,447.40 in opening trade on Tuesday. Sensex yesterday surged 131.22 points to end at new peak of 28,177.88 and the Nifty rose 40.85 points to fresh closing high of 8,430.75 on the back of positive cues on the trade deficit front and robust gains logged by SBI and Tata Motors. 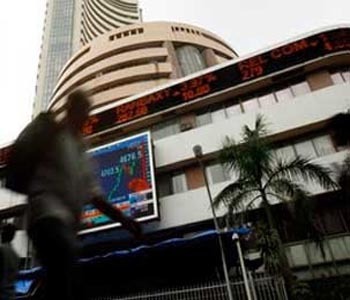 Mumbai - The benchmark BSE Sensex retreated from record high to trade 44 points lower in early trade on Monday on emergence of profit-booking, mainly in healthcare, IT, banking, capital goods and oil and gas sector stocks amid weak Asian cues. The 30-share Sensex, which had gained 106.02 points in the previous session on Friday, slipped by 44.51 points, or 0.16 per cent, to 28,002.15 in early trade. The gauge had closed at a record high of 28,046.66 in the previous session on Friday on sustained foreign fund inflows and positive economic data. Mumbai - Continuing its winning streak for the fourth straight session, the benchmark BSE Sensex rose over 89 points in early trade on Thursday on the back of positive economic data amidst sustained foreign capital inflows. The 30-share barometer moved up by 89.84 points, or 0.32 per cent, to 28,098.74 with consumer durables, capital goods, power, auto, healthcare and banking sector stocks leading the rise. Similarly, the National Stock Exchange index Nifty rose by 24.70 points, or 0.29 per cent, to 8,408. Brokers said buying activity gathered momentum on positive economic data as the country's industrial production grew at 2.5 per cent in September. 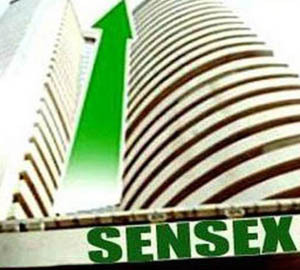 Mumbai - The benchmark BSE Sensex hit lifetime high of 28,051.78 and the NSE Nifty soared to another peak of 8,394.95, respectively in opening trade today amid sustained overseas fund inflows and positive global cues. Besides, expectations of encouraging economic data to be released later in the day and a firming trend at other Asian markets, influenced trading sentiments. The 30-share index, which had gained 41.43 points in the previous two sessions, flared up by 141.72 points, or 0.50 per cent, to hit new record-high of 28,051.78, surpassing its earlier peak of 28,027.96 reached on November 10. Mumbai - The benchmark BSE Sensex gained over 76 points in early trade today on sustained buying by foreign funds and retail investors amid a firming trend at other Asian bourses and hopes of further push to economic reforms by the government after recent Cabinet expansion. The 30-share index, which had gained 6.10 points in the previous session, rose by 76.16 points, or 0.27 percent, to 27,950.89 with infrastructure, realty, oil & gas, healthcare, PSU and auto stocks leading the rise. The NSE Nifty also edged higher by 20.35 points, or 0.24 percent, to 8,364.60. 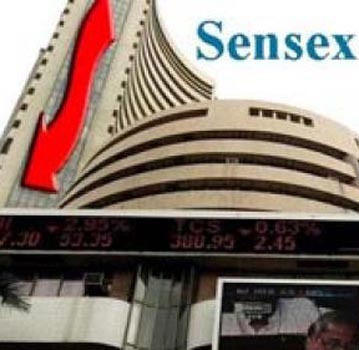 Mumbai - The benchmark BSE Sensex hit new record-high of 28,027.96 and the NSE Nifty touched another peak of 8,383.05, respectively in opening trade on Monday as investors cheered expansion of the Union Cabinet amidst continued foreign capital inflows. Besides, a mixed trend at other Asian markets influenced trading sentiments. Mumbai - The benchmark BSE Sensex breached 28,000-mark for the first time and the NSE Nifty hit a new peak of 8,363.65 in early trade on Wednesday on sustained fund inflows amidst optimism over encouraging corporate earnings. Besides, falling global crude oil prices which dipped to its lowest closing point since October 2011 also influenced trading sentiments, brokers said. The 30-share index flared up by 141.57 points, or 0.50 per cent, to hit a new peak of 28,001.95, surpassing previous intra-day record of 27,969.82 reached on Monday. The gauge had shed 5.45 points in the previous session. Markets remained closed yesterday on account of "Muharram". 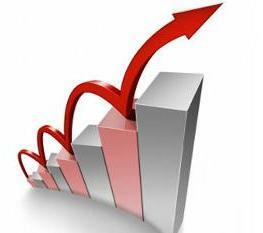 Mumbai: Markets on Monday hit new lifetime highs with the benchmark BSE Sensex rising to 27,969.82 and the NSE Nifty scaling another peak 8,350.60 in early trade today on sustained inflow of foreign funds. Extending its record-run, the 30-share index spurted by another 103.99 points, or 0.37 percent, to quote at new lifetime high of 27,969.82 in early trade today, breaching its previous intra-day high of 27,894.32 touched on Friday. The gauge had gained 1,112.93 points in the past four sessions. 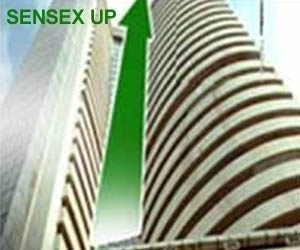 Mumbai: The BSE Sensex and the NSE Nifty soared to hit new all-time highs of 27,493.59 and 8,214.65 points, respectively, in opening trade Friday on sustained fund inflows, driven by a slew of economic reforms announced by the government amidst optimism over strong corporate earnings. Rising for the fourth straight day, the 30-share index flared up by 147.26 points, or 0.53 percent, to hit a new peak of 27,493.59. The gauge had gained 593.43 points in previous three sessions to close at record-high yesterday at 27,346.33 in yesterday's session. It had also touched an intra-day lifetime high of 27,390.60 in the previous session. Mumbai - Continuing its winning streak for the third straight session, the benchmark BSE Sensex rose over 48 points and the NSE Nifty regained the 8,100-mark in Thursday morning trade on sustained buying in bluechip stocks amid a mixed trend in Asian markets. Besides, covering-up of pending short positions by speculators on the last day of October series expiry in the derivatives segment, buoyed market sentiments. 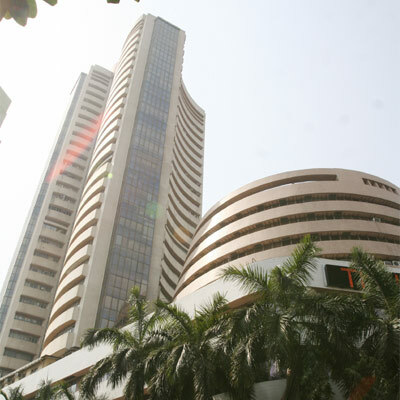 The BSE 30-share barometer rose over 48.27 points, or 0.17 percent, to 27,146.44. The NSE Nifty also maintained its rising trend and regained the 8,100-mark for the first time since September 23 by gaining 12.10 points, or 0.14 percent, to trade at 8,102.55. Mumbai - The benchmark BSE Sensex regained the 27,000-mark by surging over 150 points in Wednesday morning trade on continued buying by participants amid good quarterly earnings and a firming trend overseas as investors await the outcome of the US Federal Reserve policy meeting. Besides, covering-up of short positions by speculators ahead of monthly expiry in the derivatives segment, supported the rally. The 30-share barometer regained the psychological 27,000-mark for the first time since September 23 by surging 150.26 points, or 0.56 percent, to 27,031.08 with all the sectoral indices, led by auto, realty and oil & gas, trading in positive zone with gains up to 0.97 percent.